IPad SP1 Automated External Defibrillator.The IPad SP1 defibrillator was designed to be extremely ea..
Pk 100 Assorted Sterostrip Hypoallergenic Waterproof Plasters. For day-..
Pk 25 x 20ml Saline Solution Eye & Wound WashSuitable to flush and clean eyes or wounds Mor.. This deluxe sports bag will cover all your needs for any sports team.We can fill this with what ever..
White or Green Metal Indoor Cabinet With Alarm. 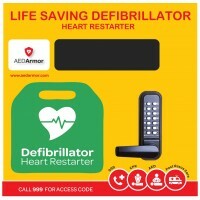 White or Green Metal Indoor Cabinet With Alarm.Keeping your life saving defibrillator in a cabinet a.. Mild Steel Outdoor Cabinet Locked With Heating AED Armor’s Mild Steel Cabinet No Lock with he..
Reload Super C Dispenser No water or mains electricity required for installation or operationEasily ..
Reload No 2 – Floor Degreaser Concentrate 4 x 2 Ltr Specially formulated to ensure fast efficient ..
Reload No 1 Sanitiser/Degreaser 4 x 2Ltr Highly effective cleaning and sanitising product Suitab..
White or Green Metal Indoor Cabinet With Alarm.Keeping your life saving defibrillator in a cabinet at a fixed location ensures that it’s presence is noted and that it can be accessed immediately in the event of a cardiac emergency. 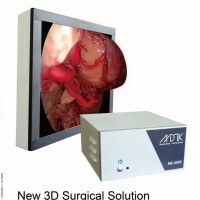 The AED Armor indoor cabinet has been designed with visibility and ease of access in mind. It features a large clear window front so that everyone can see the lifesaving AED inside, whilst entry to the cabinet is simple and effective with a hand grip equipped door. 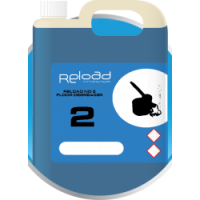 Specifically designed for the storage of defibrillators of all sizes, it’s ideal for storage in public places. 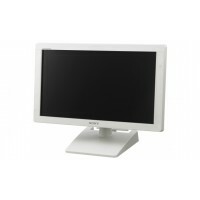 Safe, visible and suitable for wall mounting. 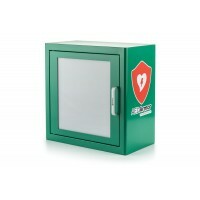 Also available with an alarm:If you are looking for a well- designed indoor cabinet which both protects your defibrillator and clearly identifies its location, then this is the solution for you.Key features & benefits:•Strong metal casing for increased durability and longevity•Large design to accommodate all sizes of defibs and their carry cases•A clear glass door enables anyone to see the lifesaving defibrillator & that it is ready to be used•Green colour allows the cabinet to stand out in an emergency•Ideal for office buildings and public places•Powder coated for a smart finish and increased durability & longevity•Strong metal cabinet creates a seamless look•Aluminium Grip handle for ease of access•Fixings for wall mounting includedApplication:Safe, visible and well suited for a wall mount position, the cabinet provides exceptional protection for all types and models of defibrillator, ensuring that the device is easy to find in an emergency.Specifications:Dimensions: W:380mm H:380mm D:200mm Weight: 5 kg Materials: Cabinet shell: Cold rolled steel Q235 1mm thick Metal Paint: Plain Powder coating - RAL9003 and RAL6024 Hinge: Aluminium Window: Plastic Electronic Features: Alarm: Acoustic Power Supply: 3 x Button Cell Batteries LR44 Output: 105dB Operating / storage temperature From 5°C to 30°C.. Mild Steel Outdoor Cabinet Locked With Heating AED Armor’s Mild Steel Cabinet No Lock with heating is highly visible and will ensure that your AED is kept in a rescue ready condition always. Manufactured to the highest standard, AED Armor’s Mild Steel Cabinet No Lock with heating will ensure that your device is always kept at a ready, working temperature, whilst also being easy to retrieve in a cardiac emergency. It’s bright and bold design, accompanied by the chain of survival, LED light/removable will ensure that any first responder is aided whilst delivering the life-saving treatment to the victim of sudden cardiac arrest. We have an option to personalise the cabinet at an additional cost. (Please enquire by email). Key features & Benefits: •Mild Steel casing for increased durability and longevity •Large design to accommodate all sizes of defibs and their carry cases with vital rescue kit accessories •IP66 rating – giving effective protection to the cabinet seals from the ingress of dust and water •Plastic wing handle for hard wearing durability •Thermostatically designed heating system, ensuring your AED is kept at a constant working temperature •External viewing window for status checks and to give the defibrillator visibility •Motion sensor LED light also acting as a removable torch to illuminate the cabinet when opened and aid the first responder •Power source •Removable torch to assist the first responder •An optional alarm to alert passers-by that a cardiac emergency is taking place is also available •Not sensitive to UV degredation Application: Robust, visible and well suited for any outdoor wall mount position. This cabinet delivers outstanding fortification for all types and models of defibrillator, ensuring that the device is easy to find in an emergency. Specifications: Cabinet’s External Dimensions: 400mm (H) x 400mm (W) x 250mm (D) Thickness of the metal: 1.5mm Thick Type of metal: Mild Steel Thickness and type of powder coating: 100 Microns electrostatic polyester powder Handle Materials: Stainless Steel Fasteners Material: Sheridised mild steel. 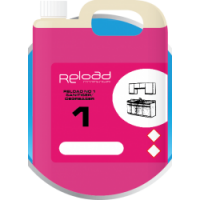 ..
Reload Super C Dispenser No water or mains electricity required for installation or operationEasily operated – add water to trigger, bucket or sink then add your concentrate productSet your own dosagesDispensers installed off the floor for safety reasonsCocentrate product locked into dispenser Please email SJS your local Hygiene specialists on sales@sjsupplies.com or call 02895 438693 for more information. ..